The press has a unique part to play in the progress of a nation and in the process of awakening a national consciousness. The media’s impact on all classes of society is so strong that it is generally accepted as the fourth estate, although it is a frontline priority for government. 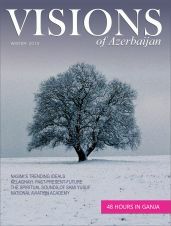 It is no coincidence that Azerbaijan’s intellectuals and literati call the press “the people’s eyes, ears and tongue”. The role of the national press is a great one, and indispensable to the Azerbaijani people as they embark on the path of national revival, develop their concept of statehood and prepare for active social relationships. It is a fact that the origins of the Azerbaijani press coincide with the development of a public and national consciousness. The reason is that sections of the national press create this consciousness and its substructure. Global developments and revolutionary events taking place within the Russian empire from the middle of the 19th century did not bypass Azerbaijan. The process of a national-spiritual awakening began within the peoples of the empire. 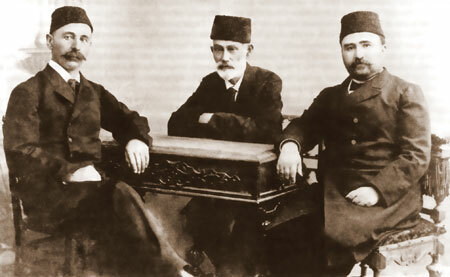 The following Azerbaijani intellectuals tried to protect the national identity of a people that Russia and Iran had split into two: Abbasqulu Aga Bakikhanov, Mirza Fatali Akhundov, Hasan bey Zardabi, the brothers Said and Jalal Unsizade, Mammad Amin Rasulzade, Mammadtagi Sakhtakhtli, Jalil Mammadguluzade, Alimardan bey Topchubashov, Ahmad bey Agaoglu, Suleyman Ganizade etc. - Publications printed since the restoration of independence (from 1991 to the present). 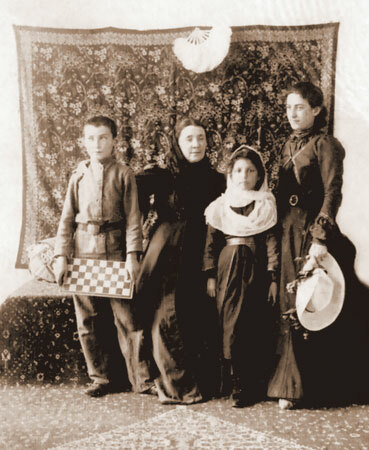 In the early 19th century, the Azerbaijani people began to expand cultural relations, not only with the Trans-Caucasian peoples but also with the people of Russia, Iran and other countries, and they had to struggle for many years to create their own national press. 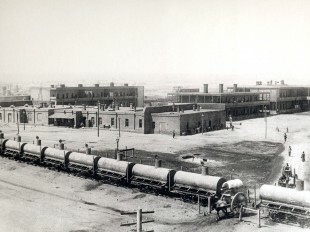 It was the result of this struggle that in the second half of the 19th century a newspaper, ‘Ekinchi’ (Farmworker – ed. 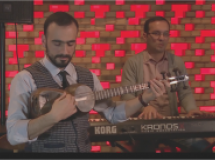 ), appeared, which was connected to the destiny of the Azerbaijani people and which was to contribute significantly to their development and revival. 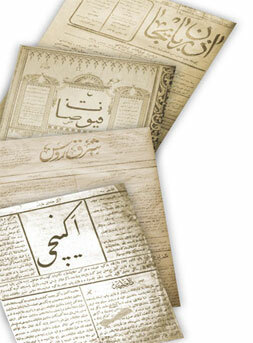 ‘Ekinchi’ was the first national Azerbaijani-language newspaper. It first appeared in Baku on 22 July 1875. Undoubtedly, this very fact was a significant event in the public, political and spiritual life of the Azerbaijani people. The creation of a national newspaper is the strongest indication of the national existence of any people and is an important condition for progress and evolution. It is to Hasan bey Zardabi’s credit that he took the first practical step along this very difficult path. There is no doubt at all that by its very existence, ‘Ekinchi’, considered to be the “first swallow” of the Azerbaijani press, gave a powerful impetus to the formation of a national press. Hasan bey was one of those prominent sons of the Azerbaijani people, a true patriot with a profound education, who had a complete grasp of the history and culture not only of Azerbaijan but of foreign countries, too. He was an active enlightener who tried to convey to the broad masses the richness of their national-spiritual wealth and ideas of freedom and progress. He realized that a periodical publication appealing to both villager and intellectual was the best way to achieve this important task. 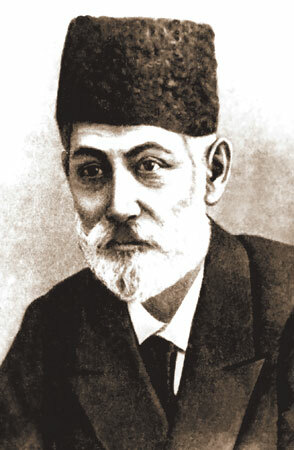 Hasan bey believed that the lack of enlightenment and science, as well as limited opportunities for education, was behind the many troubles that afflicted the Azerbaijani people. He said in an article published in ‘Ekinchi’ that when discussing troubles and difficulties there had been no mention of general illiteracy, although that was the main cause. 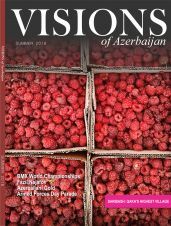 The language and style of the Azerbaijani press began with ‘Ekinchi’. Now, when reading old editions of the newspaper, you cannot but be amazed by the language of Hasan bey and like-minded people: they wrote simply, in a clear and pure mother tongue accessible to a broad section of the population. Hasan bey served his people disinterestedly with a great love and selflessness to the end of his life. He did nothing in his life for personal benefit. He gave his whole life to the poor. He did not confine himself to words, but acted wherever necessary. He worked purposefully, tirelessly and wisely. 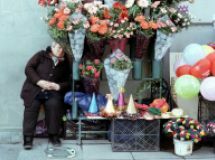 Sometimes he worked on his own, but people disbelieved him and thought of him as “a Russian with a cap on”. Hasan bey gained people’s trust by his modesty and hard work, and at the cost of great hardship. The land issue was the sorest point for villagers. “A people deprived of enlightenment and science is a people deprived of light,” Hasan bey said. His whole life was devoted to enlightening the people. He is rightly accepted as the founder of mother-tongue education in Azerbaijan, of women’s education and of the Azerbaijani theatre and press. The founder of the Azerbaijani press, a prominent intellectual of his time and editor of the newspaper ‘Ekinchi’, Hasan bey Malikov (Zardabi), was born in the village of Zardab in the former Goychay uyezd on 28 June 1837. He received his primary education in a Muslim religious school, then went to a school in Shamakha district and completed his secondary education in Tiflis. 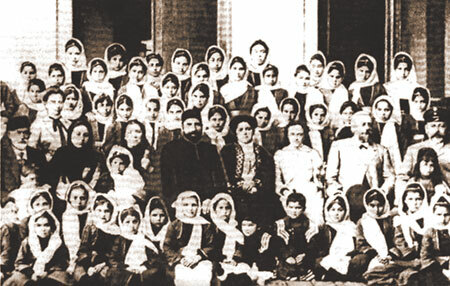 In 1852, Hasan bey’s father took him to Shamakha and put him in a school in the city. The boy did very well and during his final exams his answers amazed the director of the Caucasus Education District, Baron Nikolai. The baron insisted that Hasan bey be sent to Tiflis to continue his education there. The entrance exam was passed in Tiflis and the boy entered the fifth form of Tiflis gymnasium No 1. He graduated from the gymnasium in 1861and was sent to Moscow with state funding to continue his education there. Hasan bey entered Moscow University in 1861and studied for four years in the university’s nature and mathematics department, graduating from the university in 1865 with a candidate’s diploma. His student years were spent among progressive-minded intellectuals. He was a welcome guest in the families of the famous Russian historian Solovyev and the poet Plesheyev. The Solovyevs were very interested in the Orient, particularly in Islam. They listened with great pleasure to what their guest told them about the Caucasus, its traditions and morality. Solovyev often listened to the explanations on Islam-related issues that Hasan bey gave and noted contentedly what he heard. Often a visitor to the Solovyevs’ house, Hasan bey fell deeply in love with their daughter. The girl loved him very much, too. However, for certain reasons, the two young people could not marry and once his education was complete, Hasan bey returned to his Motherland to serve his people. In 1866, in order to be closer to the people, Hasan bey began working as a member of court at commission 8 of the Mezhevaya Chamber in Tiflis. He worked in the Borchali section and had the opportunity to learn about villagers’ relations with the treasury and landowners. However, more than with the Mezhevaya Chamber, Hasan bey had to clash with the chiefs. Bound in red tape, villagers who submitted petitions had to stay in the city for months and bribes were extracted mercilessly. They were treated in a very rude manner. Hasan bey, who saw all this, defended the villagers and argued with the chiefs. Governor Kolubyakin could not stand Hasan bey. He always lost his temper when he saw him. Finally, one day he said: “Either I will be governor or you will stay in service here”. There was no doubt that the governor would win. Hasan bay had to quit his post in the governor’s department. After serving for some time in Tiflis, he worked in a court in the Quba uyezd of the Baku governorate and then arrived in Baku and started giving lessons on nature at a Russian-language secondary school there. His efforts resulted in a large increase in the number of students at the Baku gymnasium within a short period of time. 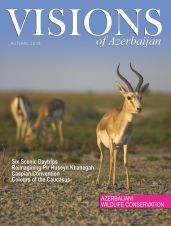 In those days, Baku’s rapid development as Azerbaijan’s central city brought up the question of establishing a national press. Hasan bey understood that there was a great need for a newspaper in the native mother tongue. He applied to the government for permission to publish a newspaper. After much hard work and anguish, the great thinker succeeded in publishing the newspaper ‘Ekinchi’ in the Azerbaijani language at the Baku governor’s printing house on 22 July 1875. This beginning laid the foundations for a national press. The ‘Ekinchi’ newspaper was published from 22 July 1875 to 29 September 1877, twice a month, in editions of 300 to 400 copies. In the time it was published, ‘Ekinchi’ coped admirably with these tasks. The main content of the newspaper” was the struggle for people’s happiness and introductions to science and culture in order to open up their eyes. This was why a number of progressive-minded people living in Russia welcomed the publication of ‘Ekinchi’ and praised its work. 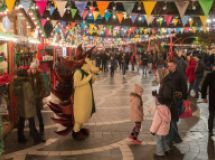 Certain reactionary forces in Azerbaijan, mainly representatives of privileged strata that wanted to take advantage of the people’s ignorance for their own purposes, were hostile to it. The enlightening activities of ‘Ekinchi’ aroused anger and hatred in equal measure in all of them. It was no coincidence that the paper faced non-stop libels and threats. The publication of ‘Ekinchi’ was a hugely progressive step forward in the life and cultural history of the Azerbaijani people. The role it played in people’s lives can be compared to that of the newspaper ‘Kolokol’ and the magazine ‘Sovremennik’ in Russian public life in the 1850-60s. Within a short period of time ‘Ekinchi’ became a focus for progressive ideas in Azerbaijan. Progressive-minded Muslim intellectuals from across Russia were infinitely inspired by its appearance and believed it to be of great importance for not only Azerbaijan but for the Muslims across the Caucasus. 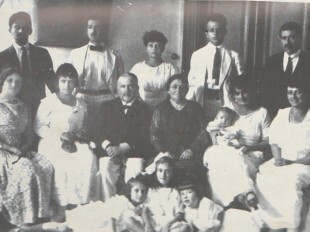 The tsarist government also started to express concern about ‘Ekinchi’s mission to enlighten. 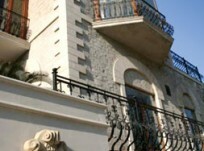 The Baku governor subjected it to extremely rigorous censorship. 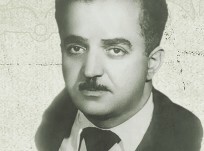 Zardabi himself was declared “politically dangerous and unreliable” and was subjected to both covert and overt persecution. Finally, in mid-1877, the only printing house in Baku with Azerbaijani fonts refused to print ‘Ekinchi’, on instructions from the governor. Hasan bey was offered the choice of leaving or quitting state service. 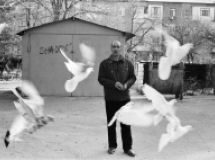 He thought it was pointless to live apart from his people, so he preferred to quit state service than leave Azerbaijan. In 1878 Hasan bey was dismissed from his post as teacher at the Baki Realni school and was unemployed for about two years. 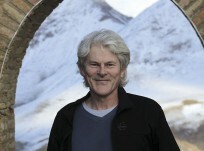 In 1880, together with his family, he moved to his native village of Zardab and lived there for 16 years. He advised the villagers on crop-related issues and, when the moment was ripe, he shared his enlightened and democratic ideas. Although Hasan bey lived outside Baku, he was still actively involved in the press. Thus, from 1880-1890 he published many popular scientific articles in the Azerbaijani and Russian languages in the newspapers ‘Ziya’, ‘Kaskul’, ‘Kaspi’, ‘Novoye Obozreniye’ etc which were based in Baku and Tiflis. In the last years of his life he held an official post in the enlightenment department at the Baku city Duma and headed schools in Baku and surrounding villages. Hasan bey worked for the people his whole life and he never took offence with them. He said: “Don’t look for appreciation, awards for your work, praise, etc. Work for the people, they will follow and appreciate you. For this, you must first gain their trust.” He loved the young people who followed him more than he did his own children. The first play performed about the life of Muslims made him infinitely happy. As long as he could walk, he never missed a single performance staged by a young Turkic troupe. 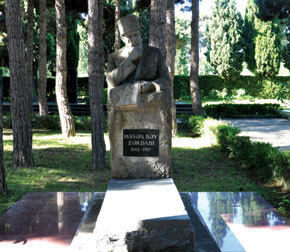 The prominent Azerbaijani composer Uzeyir bey Hajibeyov never forgot Hasan bey’s words in the ‘Kaspi’editorial office. He said: “Write a play that will make the participants read it.” He very much wished to hear an Azerbaijani opera. This wish was realised too late. The first opera in the Orient, Uzeyir Hajibeyov’s ‘Leyli ve Majnun’, was staged after Hasan bey passed away. From 5 July 1991, the day when Azerbaijan’s first printed organ, the ‘Ekinchi’ newspaper, was first published - 22 July - is marked as a professional holiday for the country’s journalists.